From May until the cooler weather of October is Chinch Bug Season – the most dangerous season for your St Augustine turf grass lawn. Why? First, Chinch Bugs like it hot and they like it dry – or at least they like their St Augustine turf grass hot and dry. Nothing is more inviting to a chinch bug than St Augustine turf grass dry from the lack of water and baked all day under the hot Florida sun. Second, Chinch Bug damage is so complete and so fatal to St Augustine turf grass that there is no recovery – your dead lawn is dead! And it is an ugly dead lawn. So what are Chinch Bugs and how do you prevent Chinch Bugs from destroying your St Augustine turf grass lawn? Chinch Bugs are not pests, they are predators. Their prey is weak, suffering St Augustine turf grass – preferably St Augustine turf grass that is weak and suffering from water stress. As a predator, their role is to remove the weak to make room for the strong. In a lawn that means destroying the weak St Augustine and allow for stronger weedy species like Bermuda grass and crabgrass to establish and prevail. Chinch Bugs are small! They are about the size of a pin head. They are difficult to observe in a St Augustine turf grass lawn. But they are there – almost every St Augustine turf grass lawn in Pinellas County has at least a few Chinch Bugs in or near the lawn. And when conditions are good, the population can rapidly expand to thousands. Chinch Bugs feed on the sap of St Augustine turf grass and also inject a toxin that prevents the movement of water in the plant. 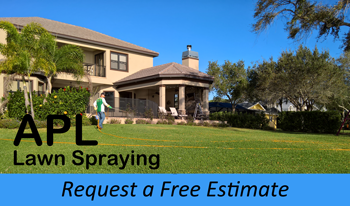 It is a double whammy for the St Augustine turf grass lawn – less sap and less water. Plus the Chinch bug is not only getting food, they are creating the next meal of hot dry St Augustine turf grass. 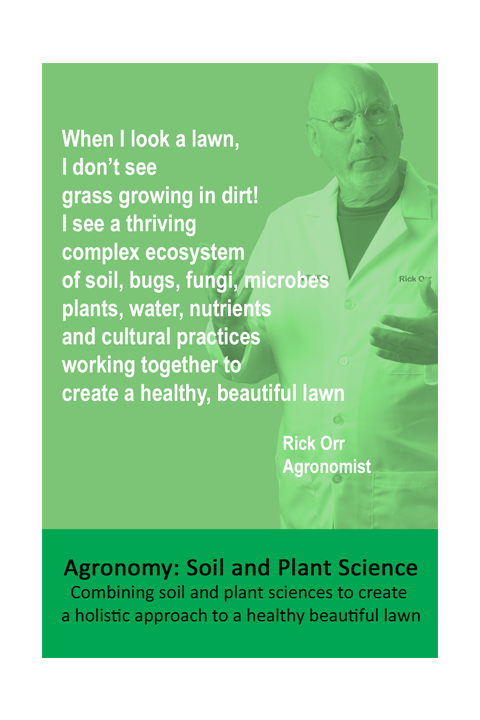 So what is created is a fire storm of activity – well feed chinch bugs are more fertile and create more chinch bugs and more chinch bugs create more hot dry St Augustine turf grass to feed on – it is a logarithmic expansion of predator and prey. This all started when your St Augustine turf grass lawn was allowed to suffer water stress and become weak. The obvious solution is prevent water stress. But that requires the freedom to water as often and as much as weather, soils, exposure and other conditions dictate. But SWFWMD has removed that freedom and required self supplied irrigation systems only be used on a certain day – regardless of when the lawn needs water. The consequences from such restrictions is more water stressed St Augustine turf grass and more Chinch bugs. Insecticides applied Properly will Protect St Augustine Turf From Chinh Bugs. The Turf on the left was sprayed regularly to prevent Chinch bugs - the right side is untreated. Incomplete Damage – the damage seems to be selective in contrast to water stress damage that is equal damage over the area. Look for islands of green isolated within the damaged area. This is because the Chinch bug will feed on the weak turf first and then attack the healthy turf. Yellow Leaves along the edges of the damage caused by the injection of the toxin. The feeding progresses from a central point and moves outward. The pattern will be dead grass –> yellow leaves on the edges -> healthy turf. The presence of Chinch Bugs – If you cannot find any Chinch Bugs then probably something else caused the damage. Yet finding the small match head sized bugs is difficult. Soap drenches or physically investigating the edges of undamaged turf is the best method to get a visual verification. Warning: Chinch bugs are predators and are often a secondary causal agent. A turf damaged by water stress, herbicides or other stressors will be attacked by Chinch bugs. First cure the cause of the stress and regardless of the primary cause, you must control the Chinch bugs. The good news is that Chinch Bug populations are easily reduced with modern insecticides. Since the Chinch bugs live in the base of the leaves, using a liquid insecticide is superior to granular insecticides. Remember that Chinch Bug activity is so lethal, the lawn will not recover and will have to be replaced if attacked by Chinch Bugs. Therefore, preventive applications during the peak seasons is better than curative applications. Preventative Insecticide applications every 30 to 60 days during Chinch Bug season will protect your lawn. Chinch bugs are here; they are not easily seen but are an ever present danger to your lawn. Chinch bugs are not pests; they are predators, preying on weak stressed turf. Chinch bug damage is so complete that the turf does not recover. It is imperative to take care not to allow Chinch Bugs to expand their populations to damaging levels. 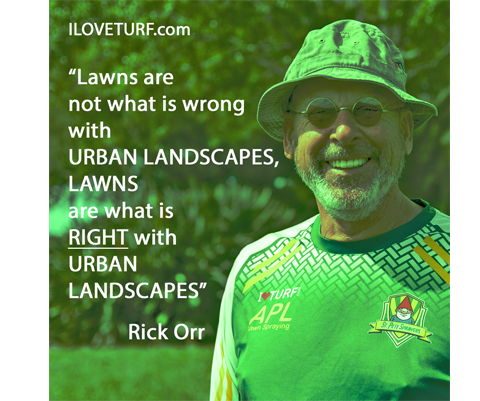 Therefore keep your turf healthy by watering as often as you can and mow your turf as high as the mower will go (yes tall turf is not appetizing to Chinch Bugs). and reduce Chinch Bug populations with a modern insecticide every 30 to 60 days.